Wellington Zoo calls itself the “Best Little Zoo in the World,” and they just might be accurate. Having lived most of my life near large cities with somewhat famous zoos, I thought I had seen it all. Not so. The Wellington Zoo offers many surprises and is worth a visit. We had perfect weather on the day we visited, warm and sunny, but neither too hot, nor too windy. The animals agreed, being active and playful. Maybe, like the rest of New Zealand, they were just celebrating our country’s recent win over Australia in the Cricket World Cup. It is the only bear species in New Zealand and found only at the Wellington Zoo. When he stood on two legs for just a moment, we saw his distinguishing chest and those long sickle shaped claws that make him such a good climber. The Kiwi bird is a national icon of New Zealand. It’s also well protected and nocturnal so spotting one in the wild is a rare occurrence. 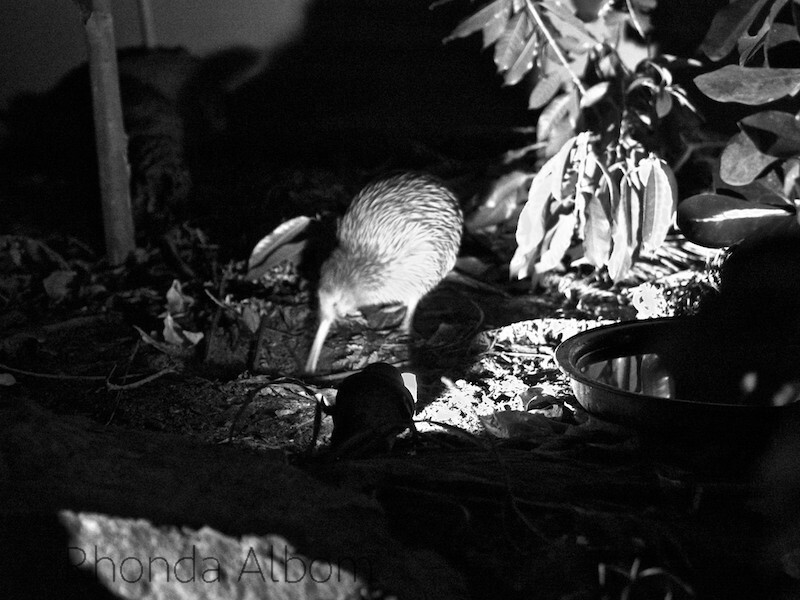 Even at Kiwi enclosures, they are often difficult to locate as enclosures are always in the dark. Flash photography is not allowed, so this shot was taken at an ISO of 25600, then converted to black and white to filter out the red lighting of the enclosure. Once again I am glad to have my Olympus OM-D EM-5. 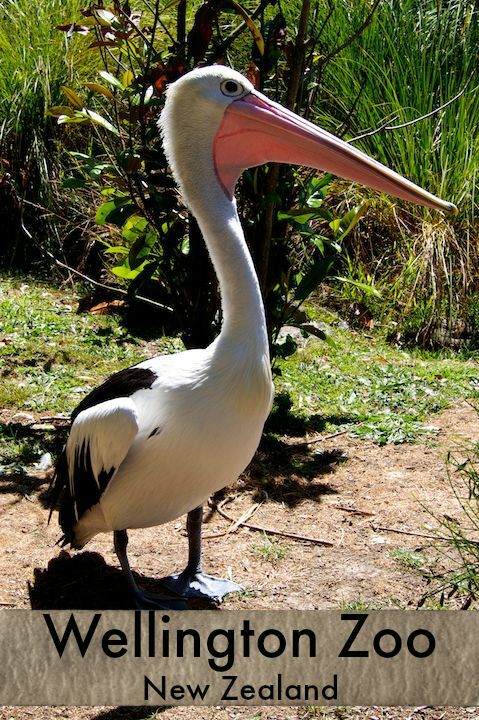 “Lanky”, the pelican’s huge eyes, long neck, short legs, and big feet, made me smile. 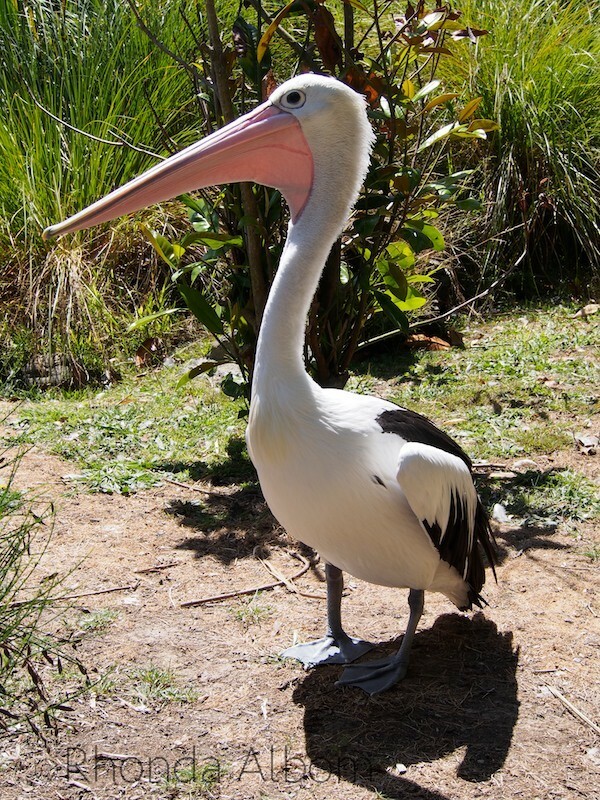 Sadly, in April 2016 Lanky passed away, and New Zealand no longer has a pelican in captivity. Having been at the Wellington Zoo for 40 years, he was their longest living resident. Tasmanian devils are a carnivorous marsupial found in the wild only on Australia’s island of Tasmania. 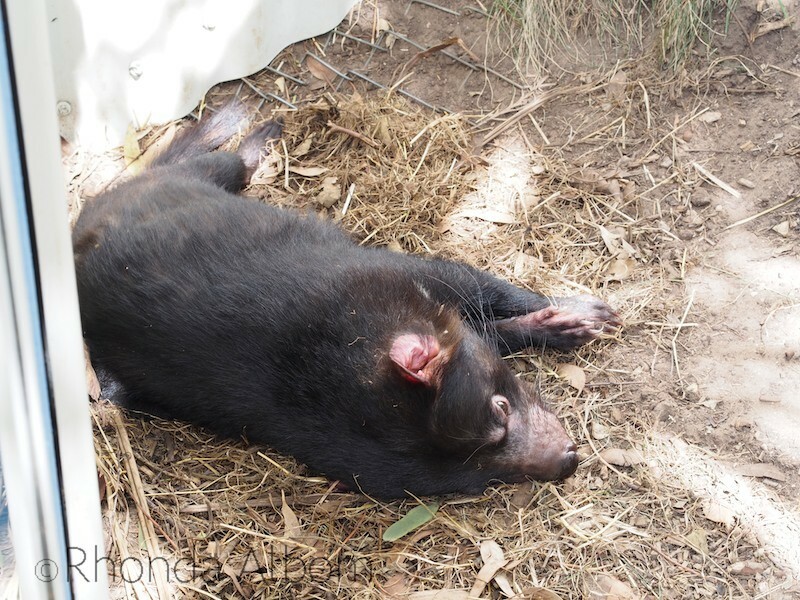 Unlike many of the other animals, this Tasmanian Devil was having a rest. The zoo is located in Newton, about a 10-minute drive from downtown. Bicycle: There is a bicycle rack in front of the zoo, for those inclined to get some extra exercise and help the environment. Private Vehicle: The drive from downtown to the zoo is well signposted. There is limited free parking, so our best tip for drivers is to get here early. If you are thinking about renting a car, we recommend Rentalcars.com. With worldwide rental partners and outstanding customer care, they have been our favourite since the first time we rented with them. Public Bus: Stopping right outside the Wellington Zoo, the number 23 or 23z bus are the easiest options from downtown. Check out the Metlink for current timetables. Visitors to the city love the Hop-on Hop-off bus option. It also stops at the zoo, as well as 9 additional locations, providing commentary along the way. We often see Little Blue Penguins (also called fairy penguins) when we sail in Auckland. 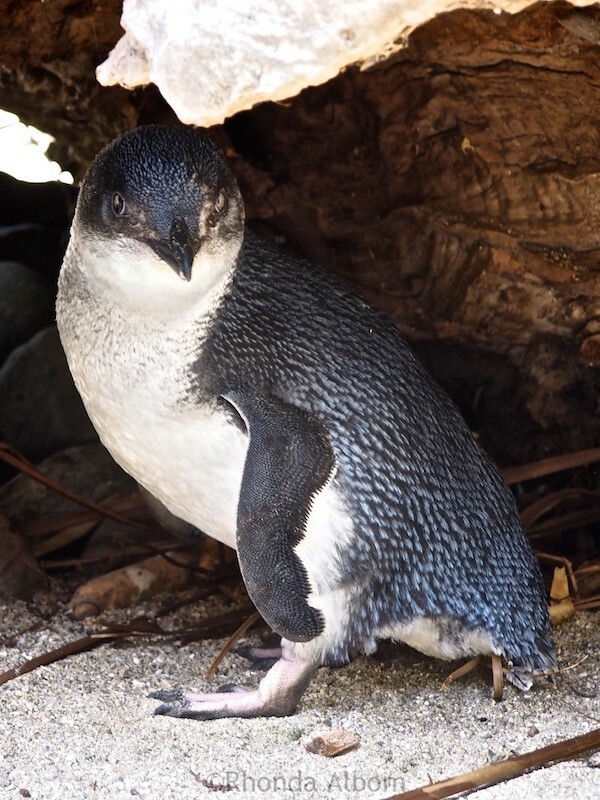 We have seen wild Little Blue penguins in St. Kilda (Melbourne Australia) and in Dunedin (New Zealand) last year. 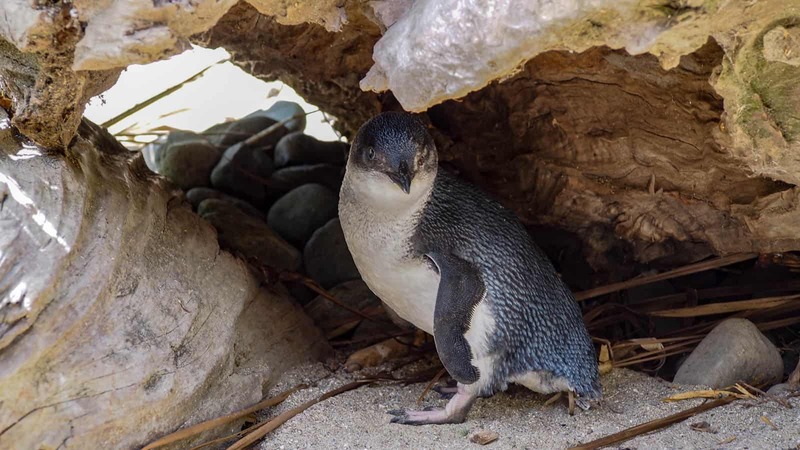 Native to New Zealand these Little Blue Penguins are fairly common on New Zealand coasts and also found in southern Australia. They are the world’s smallest penguin, standing just over 25cm (10 inches) and weighing only about a kilogramme (2.2 pounds). They are flightless and use their wings to swim. 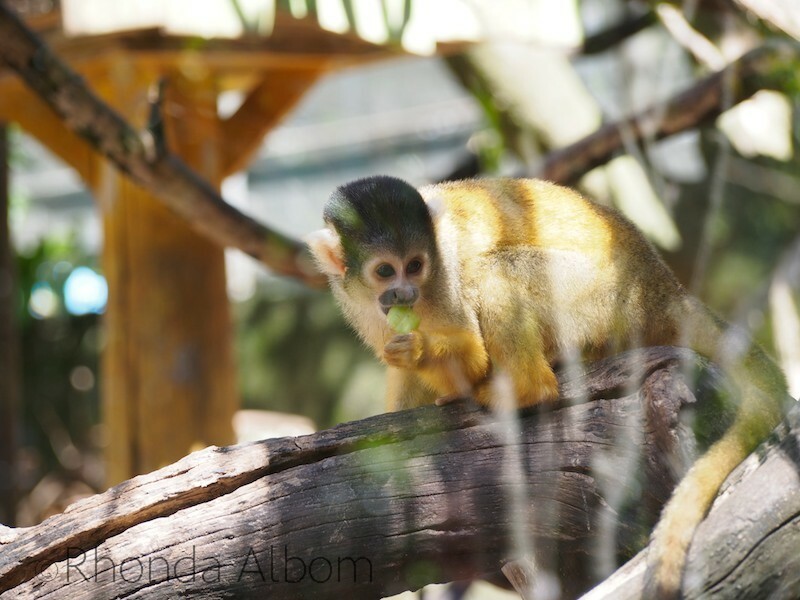 An adorable Squirrel Monkey enjoys a leaf. 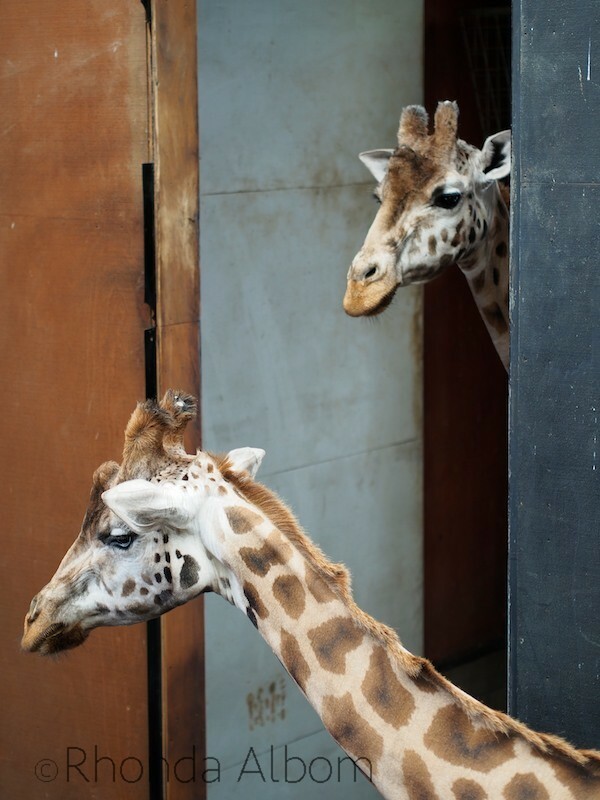 The giraffes have both an inside and outside the enclosure. While I was enjoying the heat of the day, these magnificent creatures came inside. They do have daily feeding opportunities, but we missed it. While the unusual animal exhibits appeal to everyone, the Wellington Zoo has many kid-friendly learning opportunities. Since there were no young children nearby, my teen demonstrated it for the shot. There is also conservation information throughout the zoo. It’s a small zoo, yet built on a hill, so be sure to wear comfortable walking shoes. If you have favourite animals you want to learn more about or you want to know when to feed the giraffes, be sure to check the daily schedule and plan your visit accordingly. We spent less than two hours at the zoo, saw all the animals and listened to one “zookeeper talk”. For more information see the Zoos official website. In addition to visiting the Wellington Zoo, while in the capital be sure to check out the wildlife at Zealandia. 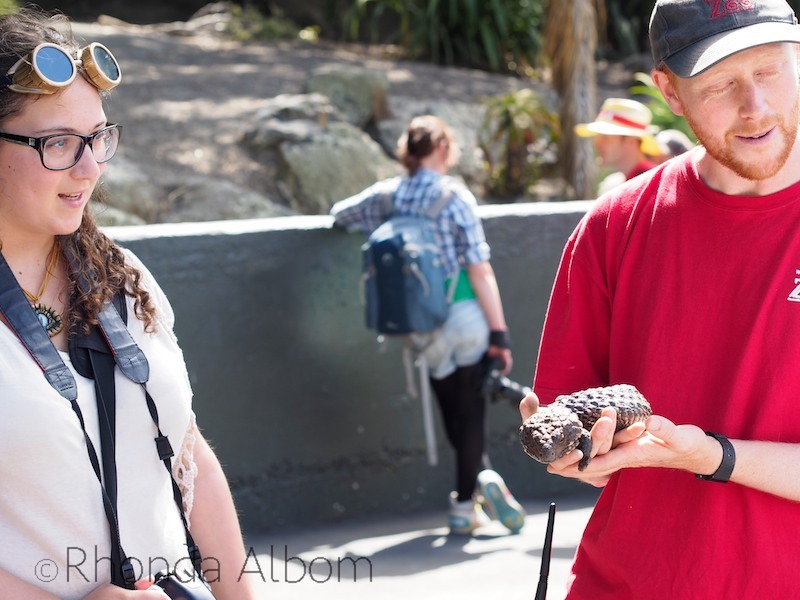 The Wellington Zoo is one of the best things to do in Wellington with kids. It is featured amongst our list of recommended Wellington Activities and our list of things to do when travelling from Auckland to the capital city. What’s the last zoo you visited? Which of the animals on this page are new to you? Disclaimer: I was provided with complimentary entry to aid in the writing of this page. However, the opinions expressed here are strictly my own. That looks like fun! I just won a membership to our zoo from our local library. I’m so excited! Our zoo is rated #1 in the world. Crazy! I could never get through it all in 1 day. Do you live in Omaha or San Diego? I had to look it up, found two lists, two #1 ranked zoos. Isn’t that the way it always goes. 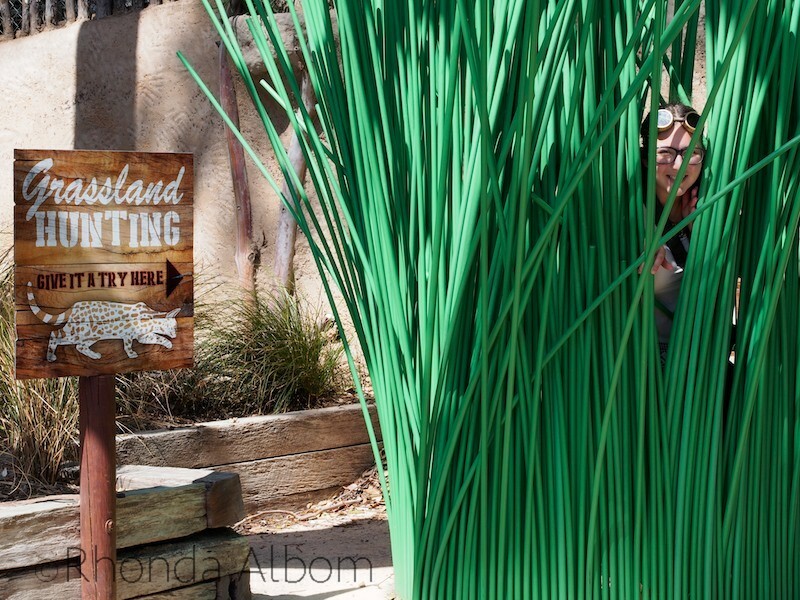 I love the San Diego Zoo, and couldn’t get through that one in a day. I haven’t been to Omaho. Wellington, on the other hand is easy to get through in a few hours. Sometimes it feels like everything in New Zealand is small. The Malayan Sun Bear is new to me. I hadn’t seen a Malayan Sun bear before we visited this zoo. I am pretty sure it is the only bear in New Zealand. I like these animals, beautiful pictures !! beautiful photos.Seems it is a beautiful zoo to visit. Thanks Cascia, I love going to zoos I haven’t been to before, and seeing different animals. 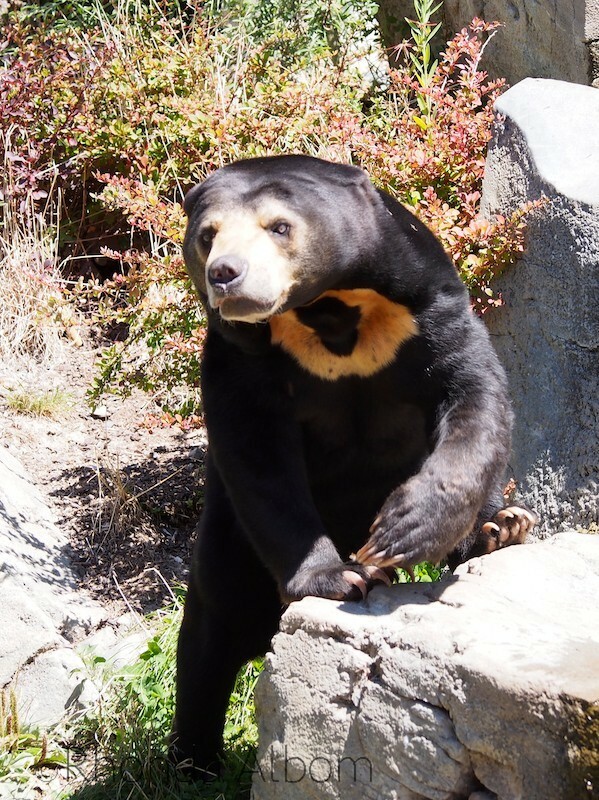 As for Wellington, it was the Sun Bear that I found most interesting. Cool photos! I love going to the zoo. That pelican is unlike any I’ve seen here. Ours are brown. I really enjoyed seeing a different group of animals from what I can see at our small local zoo, which doesn’t have much. It’s the last zoo I have visited and you can see in in about fifteen minutes. I wish I lived closer to San Diego sometimes. I have never seen a brown pelican either, but now you have me wondering, as I did live in Northern California for 15 years. Very nice pictures from some Lovely animals. Nature is filled with so many beautiful things. Great pictures & commentary! It poured the one day I was in wellington, so the zoo was out. These are so cool, thank you for sharing! I just love animal pictures! Have a wonderful week. Those caracals are cool too! LOL – I forgot I had them in one of the photos. She got them as a holiday gift and wears them all the time. I love zoos that try to give the animals some semblance of their natural habitat. I’ve seen too many concrete cages. Loved your pictures. This one did a pretty good job of this, but could probably do better. It seems to be part of the plan. I love zoo’s. I haven’t been for ages and must go once the summer heat disappears and we are back to nice days again. What great pics! I had no idea the Kiwi was nocturnal. I think that’s the first bird I’ve ever heard of that is. 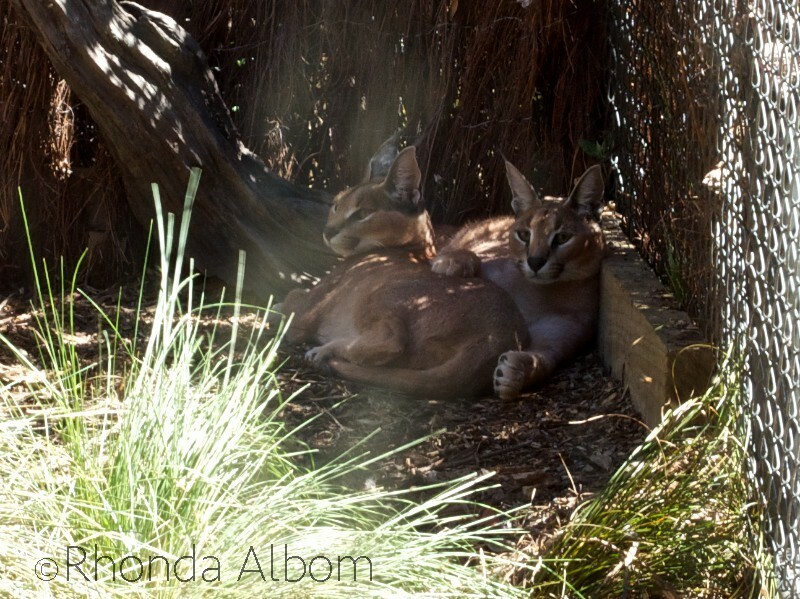 The Caracals were very cool, and the sun bear, too. Thanks for sharing your beautiful zoo! Rhonda, I missed the zoo first time around, but now I wished I’d gone…Next time! Wonderful photos. I like the giraffes the best. Wow! Never seen a bear like that! How cool he stood up for you! I have an ISO of 25000 too on my Canon! LOVE IT!! My Canon didn’t go that high, which worked out great for Sarah. She gets to shoot it now, while I have my Olympus. I’m going to have to go back just to see the zoo!!. ‘Lovely weather’ – I’ll bet it was windy though – lol. Nature’s amazing creatures. Lovely pics from the visit. I agree great photos! Loved the first one of the bear and of course the giraffe. Sara had a good capture of the giraffe’s pattern. I had never seen one up close like that! Sometimes I am amazed as to how close you can get to the animals in New Zealand. I forget it’s not like this everywhere. LOL – I will never be able to look at this poor sun bear again without thinking of this comment. Fantastic image. I can see the cartoon in my mind, and on this bear. It really looks like you got super close to that bear! You got some great shots. I live right by Henry Doorly Zoo. It’s HUGE! You can’t even walk through all of it in one day. The bear enclosure was quite open, unlike many of the other exhibits that were glass encased. It just made it easier to get a good shot. Don’t worry, I wasn’t that close. Never in danger. How fun. I’ve not been to a zoo in years. The last zoo I visited was the Oakland Zoo. My favorite zoo is the San Diego Zoo. That takes days to explore. I will admit, my favorite zoo is also probably the San Diego Zoo, although I haven’t been in at least 13 years. It’s much more of everything, animals, space etc. For New Zealand, the Wellington Zoo was a very pleasant surprise. Great pics, wow. Love them. Great photos! Love the one of the bear! We visited several zoos when we were in Queensland, but missed the Sydney and Melbourne zoos. Somehow, in three visits to Australia, I never saw a pelican. I didn’t see kangaroos, Kuala, and even a platypus in the wild. Great photos, love them all my favorite was the giraffes, there amazing animals!! And those bears claws, uhhh they would hurt!! The one in the tall grass is scary! I didn’t know kiwis were nocturnal. 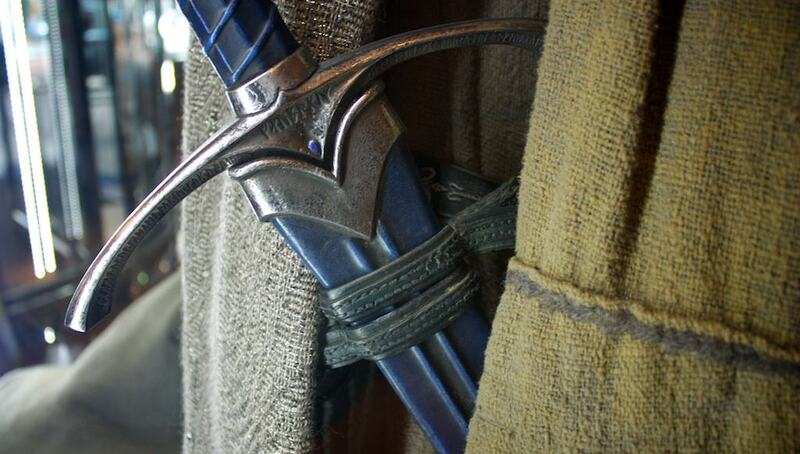 She is even more scary when she dresses medieval and runs through the forest wielding swords with her friends. Great shots! I visited many zoos during my travels but not Wellington, I think I went to the one in Auckland? Is there a zoo there? I guess the Tasmanian Devil was having a rest after all his whirling around! Yes, Auckland has a big zoo, and I have been many times. I think that is why I hadn’t been to the Wellington zoo before this weekend. I was surprised to see animals like the bear and a caracal that aren’t in the Auckland zoo. I enjoyed your photos all good shots that Tasmanian Devil looked so comfy heheh! I liked the one above the Giraffes too heheh! Thanks Steve. The Tasmanian devil was towards the top of the zoo’s hill, and by the time we got there sleeping sounded like a good idea to me as well. I am the same. Even with all these new and interesting animals, I always make my way around to the giraffes.